Wow!!!! 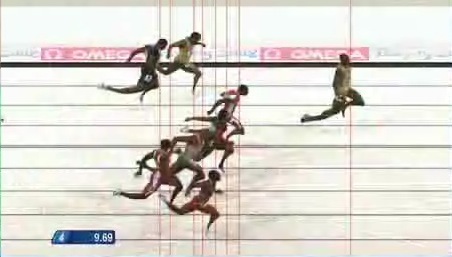 Usain Bolt is incredible, check that margin of victory, and he wasn't even trying in the last 10m. Usain Bolt won this race at 90m, cruised across the finish line and still SMASHED his old record to pieces in a new time of 9.69 seconds. Imagine how quick he would have been had he tried right to the end. This man definitely deserves the title of the world's fastest man. If you've not seen it, check it out on the BBC website. Oh, and whatever you do, don't waste your time on YouTube looking for this video. Go straight to the BBC site. I tried this morning in an attempt to include the video here and all I could find was one crappy quality video in Italian (Rai Uno) and a million "fan" or spam videos.